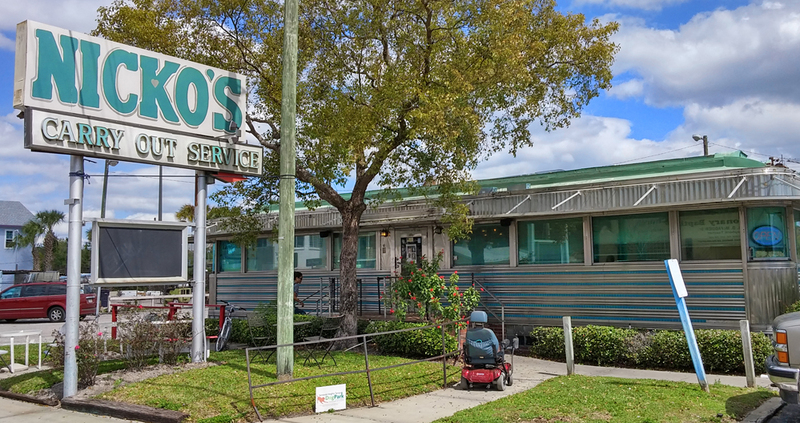 Growing up in Tampa in the 1960’s, I recall the Ayres Diner up on Dale Mabry Highway (in Tampa) as the iconic open-all-night eatery—what my mother called a “greasy spoon”. There were actually four of them—two on Dale Mabry, one on Kennedy Boulevard (then Lafayette Street), and one up on Florida Avenue. They were Mountain View Diners, purpose-built, pre-fabricated diners manufactured in Singac, New Jersey. 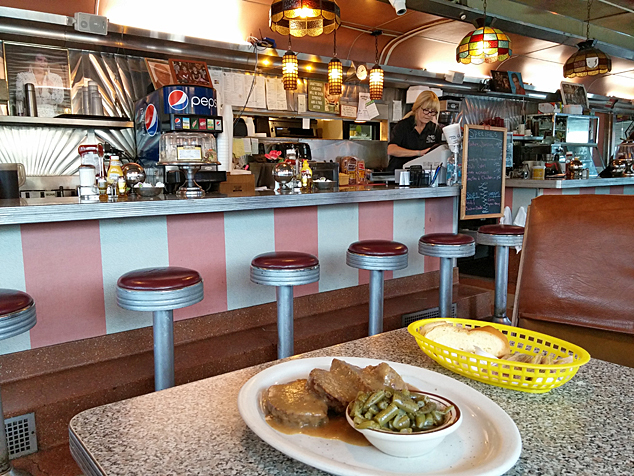 Two brothers, Mel and Calvin Ayres, opened their four Ayres Diners in the 1950’s. You could get breakfast (all day and all night), or burgers and fries, or typical diner fare like meatloaf and mashed potatoes. On August 5, 1956 Elvis Presley played at the Fort Homer Hesterly Armory in Tampa, and after the concert he went to the Ayres Diner on Florida Avenue. Today that is the last surviving “Ayres” diner—Nicko’s Diner now. 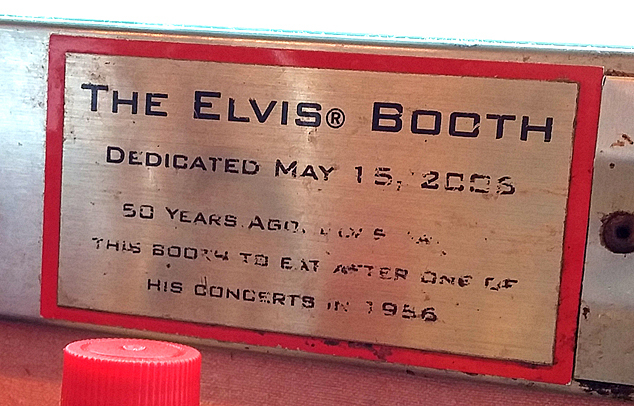 They have a well-worn plaque (at the second booth to the left, as you enter) that indicates where Elvis dined. I’m glad to report that Nicko’s continues with the traditional diner décor and menu.